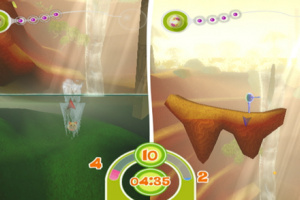 While still creating a line of educational games on WiiWare, Lexis Numerique decided to work on a platforming series alongside it. Sticking with a similar graphical style clearly geared towards younger gamers, does this fare well against other games in the genre currently available? 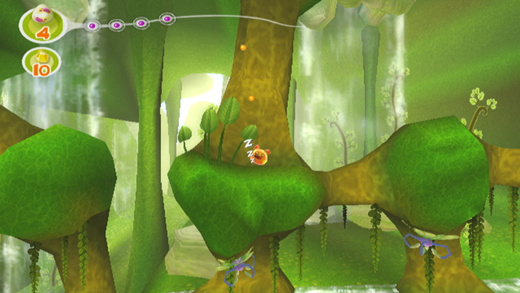 You play as Mooky, just one member of an entire tribe of strange elastic creatures. 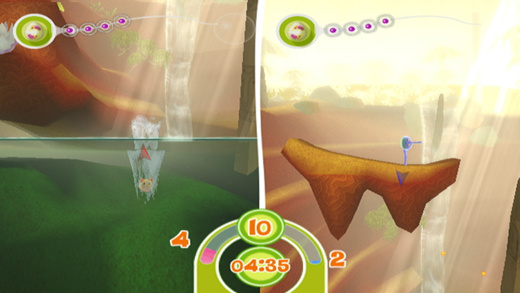 Their primary..
Tales of Elastic Boy offers you a totally innovative and unique way of playing that takes full advantage of the Wii Remote. 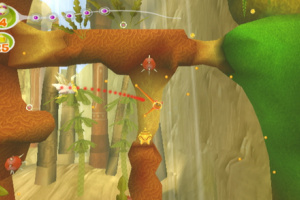 To fulfill your quest and save your planet, you’ll have to travel trough many lands, defeat various enemies, meet unexpected friends and solve tricky puzzles. 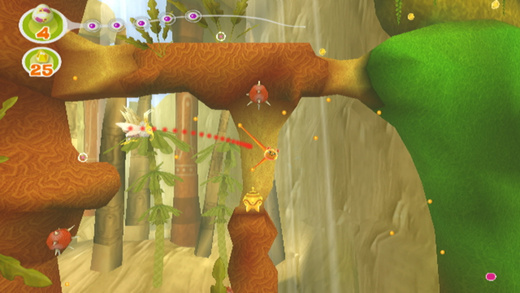 Play either in single-player mode or challenge your friends in 5 different amazing modes! Use your stretching arms to swing and punch, roll as fast as you can or jump onto your enemies. Based on a very powerful physics engine, Tales of Elastic Boy offers you a truly original and addictive gaming experience that you’ll find easy to learn but not so easy to master. 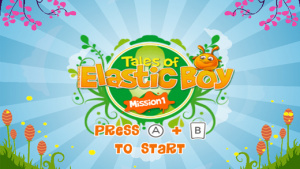 Whether you’re a classic platform game addict or whether you’re attracted by innovative concepts, Elastic Boy is for you. This sounds wierd, I wonder what it is. Sounds pretty cool and looks nice. According to the above site, USA will get it 30-8.
why cant i find any information on this game. Ive watch the trailer for it and you barely see the gameplay? wonder if there hiding it because its not very good? i really hope am wrong though because ive got spare 600 points and if its any good then may buy it! There is enough gameplay footage in the trailer. Yeah but its difficult to see whats going on. Because instead having full screen like other wiiware trailers your treated to mini box with bit random game footage inside. I was looking at the operation manual last night for this wiiware game and it involves lots flicking wii-mote up and down and pressing A or B buttons to do his moves like using his Elastic arms. and moving involves twisting wii-mote and pressing the B button to move. i decide just get it! i dont normal get wiiware games in less i see a review. But at time i was bored and wanted sumthing fill that void! so got it. It pretty decent 7 levels max and there a boss battle on 7th level. The controls are actual pretty good and work just fine. 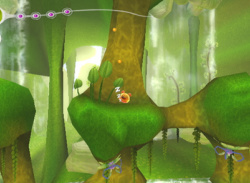 Graphics were ok nothing compared to lostwinds but there ok. It didnt take long get through 7 levels though! but theres bit replay like going back and trying get all gold nuggets. Theres some unlocks for 2 player mode like maps & characters. the only thing didnt like was story no intro just stills and text it was quite dull. 2-player is alot fun and while story doesnt take long get through there little replay to be had in trying to get all nugets in each level think 600 points is pretty good maybe if make other one add bit more content and better story? Wow. Hadn't heard of this at all. 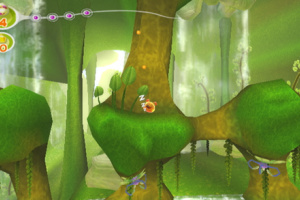 Looks like a World of Goo platformer, which actually sounds pretty cool. Not sure if I'm loving the art style, though. I do like how these smaller concepts have a venue now to find an audience.